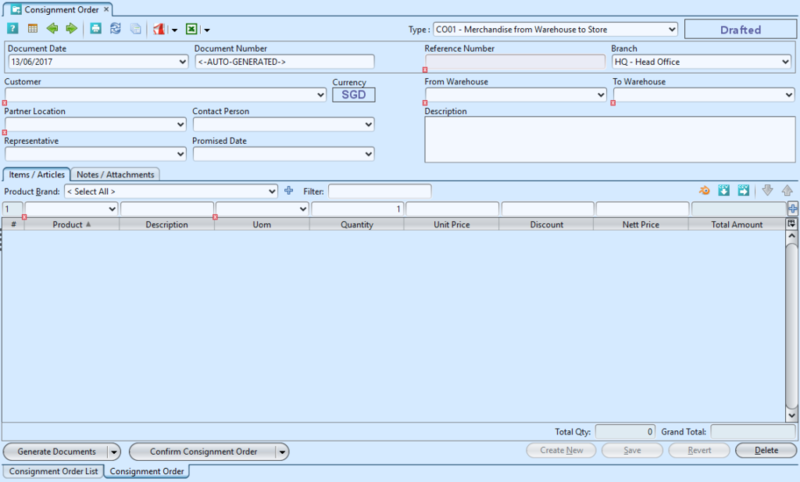 Consignment Order handles stock transfer between company warehouse and consignment warehouse (which could be at customer’s store) or between 2 consignment warehouses / stores. 2. Select a document type from the “Type” drop-down list on top right side of screen. This will indicate the system to use the corresponding document sequence for the consignment order. 3. Select a customer from the “Customer” drop-down list on top left side of screen. It will fill up the form with the customer’s info. 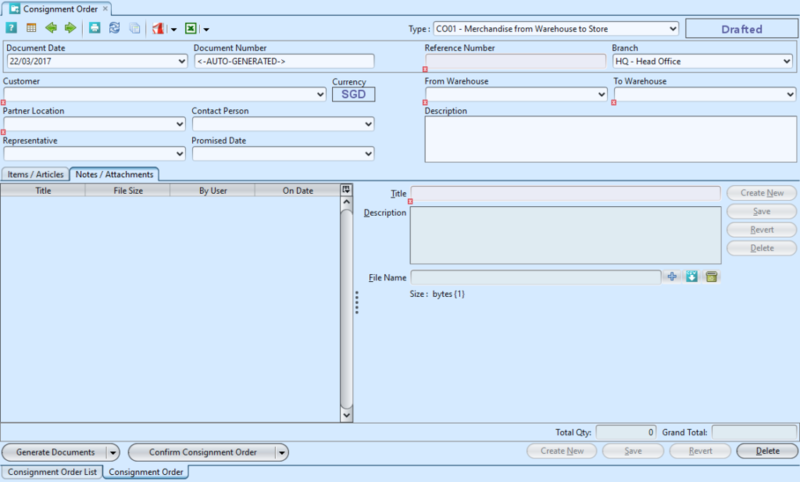 “From Warehouse” and “To Warehouse” list will filter out consignment warehouses that were not assigned to the selected customer. List of products will also be filter to only take products from Sales Price List / Trading Terms assigned to the customer. Unit Price of the product is the Retail Sales Price (RSP) as defined in the application default sales settings. 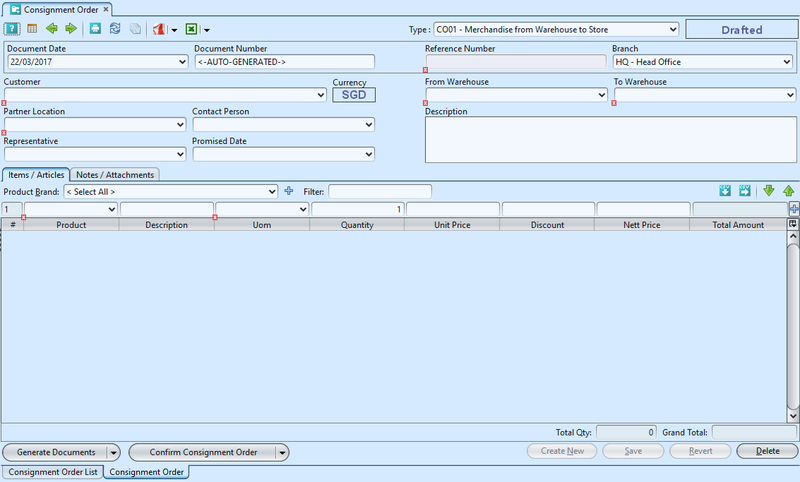 *Note: Alternatively, user can use the “Top Up” service to populate the item table with stock replenishment lines. Click on the ” ” button on the right side of the screen, it will show “Top Up Service” dialog window. Select “Top Up to Min. Qty” or “Top Up to Max. 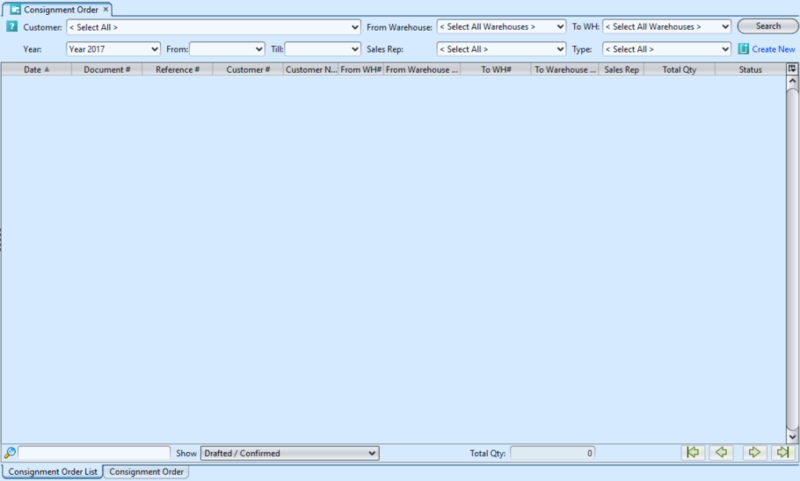 Qty“, this will fill up the item table with stock replenishment lines. 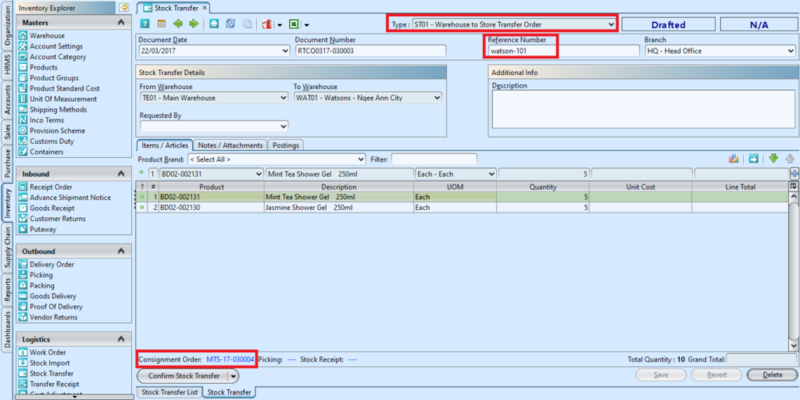 The quantity generated were based on the products and stock level defined in the “Store Model” minus the closing stock balance in the “Store Register” for the selected store’s warehouse.